Large cooking and dessert crab apple. Attractive, reddish bronze fruit. Crisp, juicy sweet flesh with a pleasing nut-like flavor. 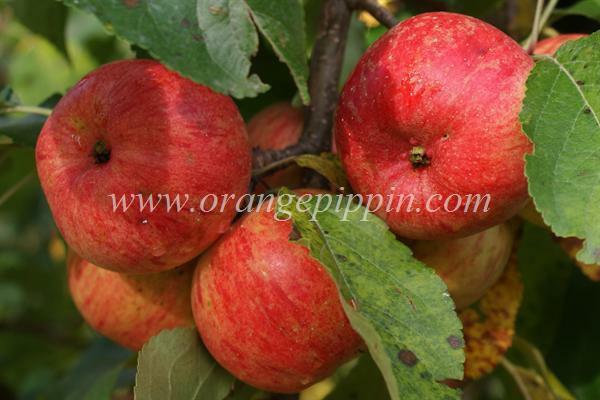 Ripens over a long period. I planted a chestnut crab in my yard in Bozeman, MT in 2002. We had two bumper crops after about 2012 and several busts, mostly because of late spring frosts. In my opinion, this is the best-tasting apple in existence, like drinking a fine white wine. Leaving it behind when we moved to Bethlehem, PA this year was not easy, and I'm eagerly looking for a fruit stand or orchard in eastern PA that sells them. We have two of these in our yard in SW Montana. We get a good crop every 2-3 years. Mainly eat them fresh off the tree and in pies. This year, as usual, we shared our crop with the birds but still made 9 delicious pies. One of my favorite little apples. Very sweet, but with a very unique and distinctive flavor, very aromatic. There's certainly no hint of crabbyness in this one.